Call it the Santa Claus rally or the January effect: typically, the ideal time to dig into the best stocks to buy is near the new year. During the holidays, people are much more jovial than usual. Also, anticipation grows for a fresh start as everyone turns a page on the calendar. While this dynamic doesn’t always play out as planned — 2016 is a prime example — this year has delivered the goods. Against the January opener, the Dow Jones is up nearly 14% despite some worrying geopolitical turbulence. A recent pop in the index suggests that we’re still the best house in a questionable neighborhood. 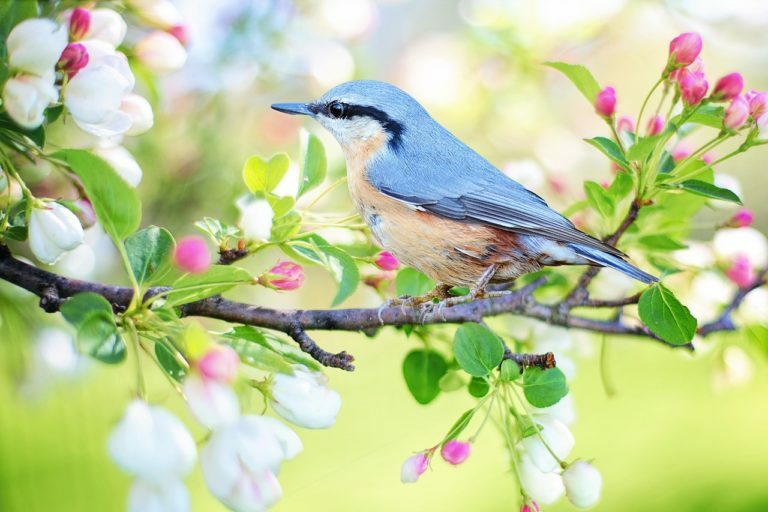 But with the spring season blooming, this is the time where the markets may separate the wheat from the chaff. If so, you’ll want to concentrate your list of stocks to buy on companies with strong, long-term growth potential. In addition, you should look out for beaten-down names that look due for a recovery. 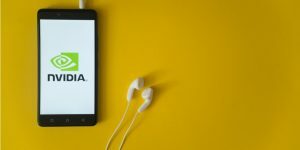 Semiconductor and technology firm Nvidia (NASDAQ:NVDA) was easily one of the most disappointing investments of last year. Throughout most of 2018, NVDA stock was on a roll, building strength upon strength. However, the October meltdown took a severe toll on the organization, deteriorating its market value. It’s almost disturbing how quickly the overall thesis for NVDA stock changed over the course of a few months. Nevertheless, I’m still confident in the bigger picture for Nvidia. Although the revenue shortfalls have hurt stakeholder confidence, the bad news is likely baked in. For one thing, few companies lever so much innovation across multiple lucrative sectors. Secondly, Wall Street is beginning to believe again. Last month, NVDA shares gained nearly 15%. However, even compared to current levels, a significant gap exists to the tech firm’s prior highs. Therefore, I’d look for Nvidia to be one of the best stocks to buy in April. Another popular name that was a major disappointment last year was Electronic Arts (NASDAQ:EA). Although EA stock got off to a brilliant start, in the end, the gains turned out to be a mirage. In the second half of 2018, gravity reared its ugly head, sending shares careening back down to earth. Competitive pressures didn’t help matters, either. Epic Games’ pop-culture phenomenon, Fortnite, captured the public’s attention and translated it to serious greenbacks. Gaming stalwarts like Electronic Arts and Activision Blizzard (NASDAQ:ATVI) were left scrambling for answers. However, EA may have found one in the form of Apex Legends. 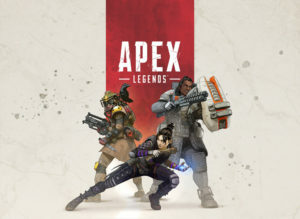 Utilizing a similar free-to-play platform as Fortnite, Apex quickly garnered a record number of downloads for an initial release. Judging from the sharp rise in EA stock — shares are up nearly 29% year-to-date — management has found the magic formula. As a result, you’ll want to put EA on your list of stocks to buy. 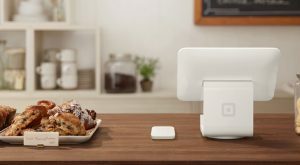 Do some shopping in local shops and with independent service providers, and you’ll invariably come across Square (NYSE:SQ) — or at least you’ll come across their products, the most popular being those square-shaped payment processors that turn smartphones into modern-day cash registers. Although the company levers an exciting technology, SQ stock stumbled last year after burning too hot. However, I believe Square makes an excellent choice for one of the stocks to buy this spring. First, small businesses have fueled economic growth over the past several months. This clientele is the most likely to utilize Square, thus potentially boosting SQ stock. Second, I dig the company’s disruptive nature. With their payment processor and app, Square gives the Davids of the business world the ability to go toe-to-toe with the Goliaths. With the platform equalized, the focus turns to substantive matters, such as efficiency or innovation. In other words, Square brings out the capitalist spirit in the American economic engine, securing its candidacy for one of the best stocks to buy. Due to Facebook’s (NASDAQ:FB) remarkable penchant for getting into trouble, social media got a black eye in 2018. But flying somewhat under the radar is Twitter (NYSE:TWTR). Since tanking last summer, TWTR stock has largely gone sideways, accentuated with the occasional spikes in either direction. However, Twitter might be among the candidates for best stocks to buy in April. Last month, TWTR stock quietly gained over 5% following a disappointing performance in February. The usual factors — a young, upwardly-mobile audience, and forays into revenue-generating ventures — support the bullish argument. But an underappreciated reason is that TWTR stock may throw a few surprises is the upcoming 2020 election. In the midterms last year, Twitter took an active role in helping people register to vote. You can expect greater engagement next year, which would raise Twitter’s profile. 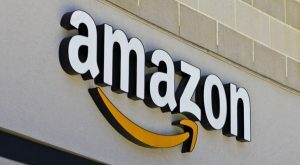 Including Amazon (NASDAQ:AMZN) in a list of best stocks to buy is almost cheating: given its enormous leverage in e-commerce and management’s constant search for profitable disruption, AMZN stock is simply a no-brainer. But even the vaunted online marketplace suffered terrible losses last year. And this year, things haven’t always gone smoothly. After a strong start in early January, AMZN stock went sideways. Salacious scandals involving Amazon head Jeff Bezos didn’t do any favors for market value and investor confidence. Still, AMZN stock fought its way forward. As of this writing, shares are up nearly 23%. Primarily, it boils down to results. You can criticize management’s ruthless nature or the recent and unnecessary controversies, but at the end of the day, this massive entity is still delivering double-digit revenue growth. Where else are you going to find this kind of growth for a company that has a legitimate chance of breaking — and keeping — the $1 trillion market-capitalization threshold? Speaking of Amazon, no discussion about e-commerce is complete without mentioning couriers like FedEx (NYSE:FDX). Although online shopping provides users with unprecedented conveniences, someone has to ship the product to your door. For years, FDX stock benefitted from the upswing in e-commerce. However, Amazon started to flex its muscles, even in the shipping business. Currently, the online retailer is experimenting with multiple in-house shipment platforms. That, along with geopolitical concerns hemorrhaged FDX stock last December. Although the courier’s chart looks incredibly ugly right now, I think the bearishness is overkill. FedEx and its rival United Parcel Service (NYSE:UPS) enjoy economies of scale that even Amazon will find difficult to replicate. Plus, Amazon isn’t the end-all, be-all in e-commerce. In fact, AMZN currently prohibits burgeoning industries like e-cigarettes. But a specific retail platform’s restrictions won’t impact FedEx, which has much greater leeway in what they ship. Americans love their pets, and I can’t blame them. With just a little bit of love and appreciation, animals return the favor with unconditional and unwavering loyalty. Frankly, I often prefer hanging out with my four-legged friends than the two-legged kind. Actual statistics provide confirmation to my anecdotal stories. According to the American Pet Products Association, nearly 70% of U.S. households own a pet. And last year, we collectively spent $72 billion on our furry companions. 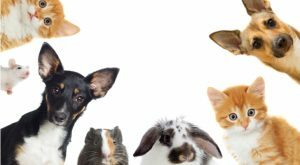 Therefore, any pet-related company, such as Elanco Animal Health (NYSE:ELAN), deserves consideration as one of the best stocks to buy. Further, what makes ELAN stock especially interesting is its momentum. Last month, shares gained over 6%. While that’s nothing exceptional, the recent bullishness did stop an ugly downtrend. Given our love affair with animals, I’d take a long look at ELAN stock. It’s no secret that artificial intelligence, combined with robotics, represent the future. However, most of these innovations center on human functions, such as driver aids or digital assistants. But a few organizations have started taking robotics into humans themselves. One major name in this expanding field is Intuitive Surgical (NASDAQ:ISRG). Most famous for its da Vinci surgical system, this technology allows medical doctors to perform minimally invasive surgeries. Notably, this pioneering development offers multiple potential applications, ranging from acute trauma to oncology. Seeing as how robotics will almost surely integrate themselves further into society, ISRG stock appears a no-brainer. However, shares are on a roll, having gained over 22% YTD. Thus, I can’t quite label ISRG as a discounted opportunity. Still, I really love the fundamentals here. If you have a higher-than-average risk tolerance, you might want to check out ISRG stock. Article printed from InvestorPlace Media, https://investorplace.com/2019/04/8-best-stocks-to-buy-for-an-april-rally/.